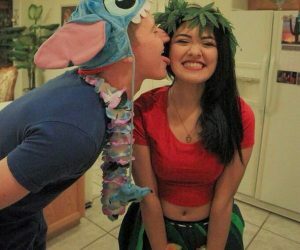 Rulers are usually used to measure things. But with a bit of creativity and a little of handiwork, these wooden rulers can be also used to create some creative things. 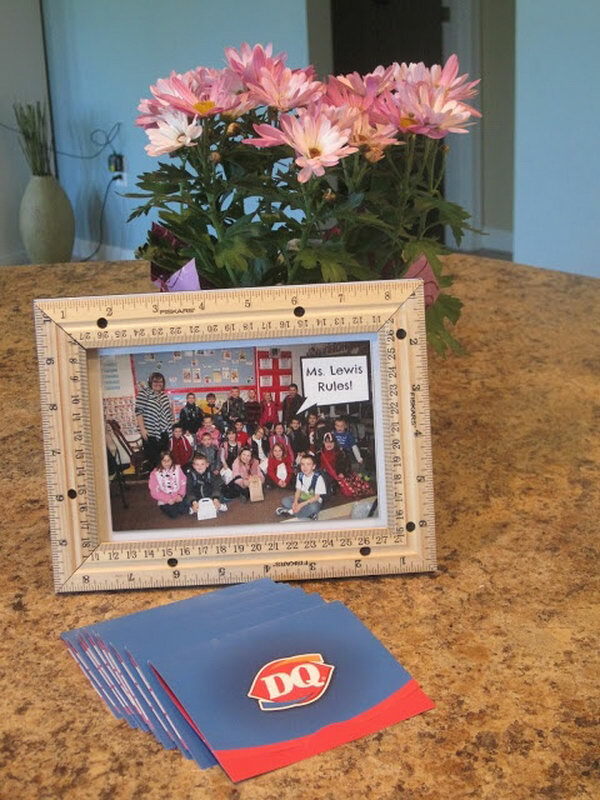 Take a look at these creative ruler crafts that we rounded up recently. 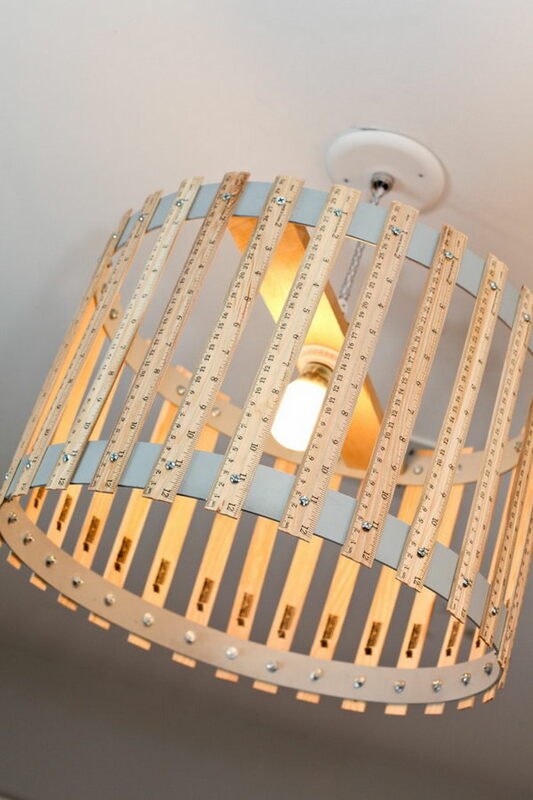 These crafts include vintage ruler table, DIY ruler vase, personalized ruler wreath, lampshade, wall mirror and so on. 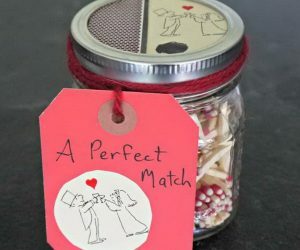 These crafts are super easy to make, but satisfyingly challenging for the imagination, and finally aesthetically pleasing and will be perfect for back-to-school or teacher gifts. 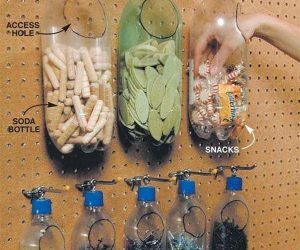 Let’s head over to these collection ideas and get much more inspiration for our own ruler crafts. 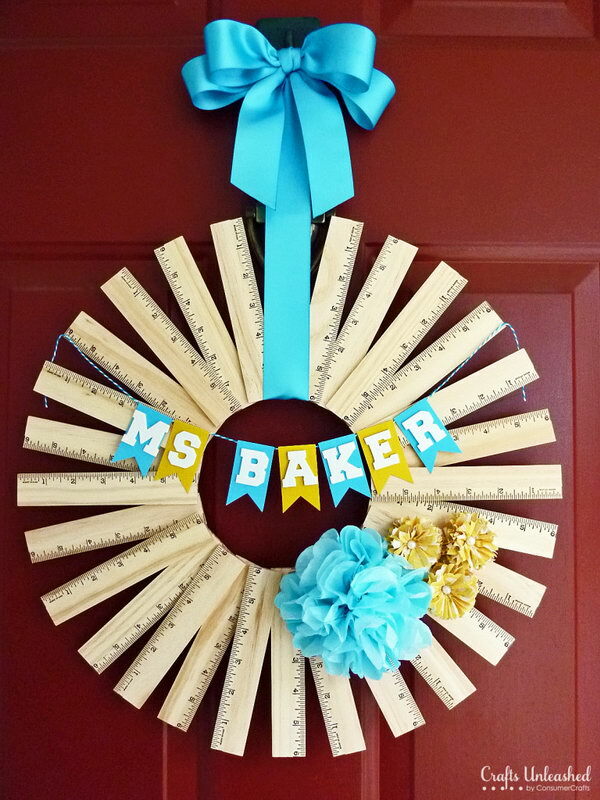 Ruler wreath is super easy to make and makes a perfect back to school gifts for any teacher. Lear how to make it here. Cut the old rulers in different length and arrange them in the shape of a tree. 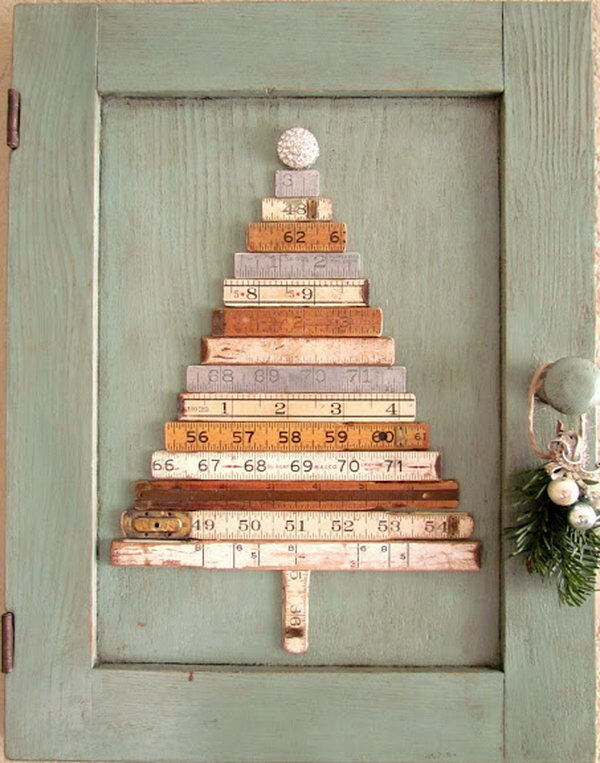 This ruler tree art will look so great on your door. 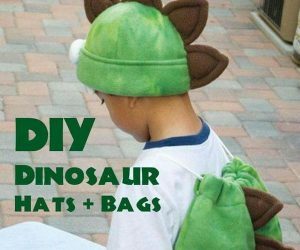 Get one for your DIY home decor with the tutorial here. 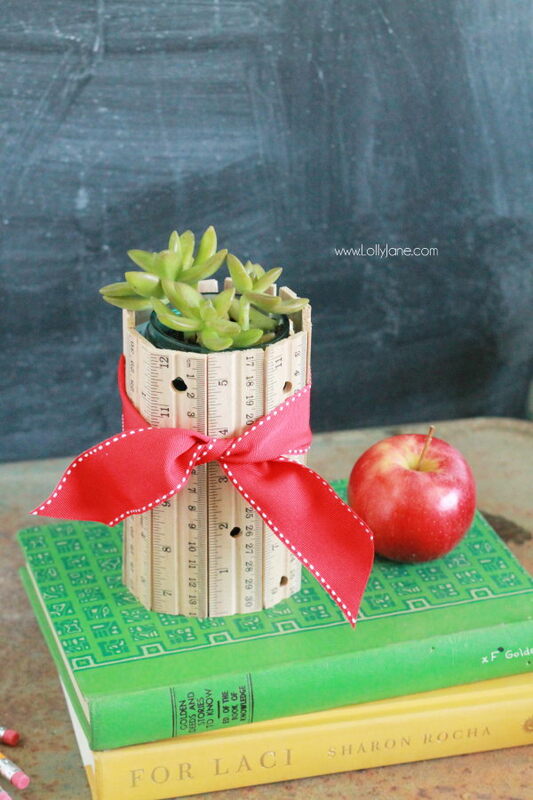 Arrange the rulers with the same length in the shape of a vase, then tie with a red ribbon. 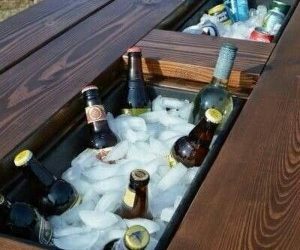 It makes a perfect table centerpiece for your dinning room. See the detailes directions here. 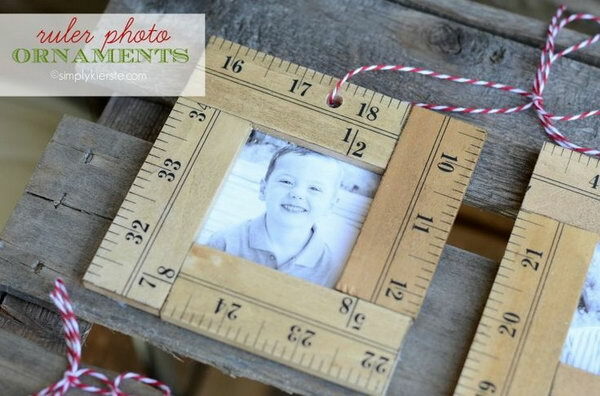 Make this beautiful ruler photo ornament for yourself or used as a given gift. 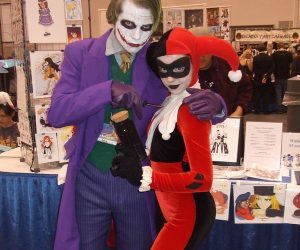 Get the easy tutorial on how to make a it here. 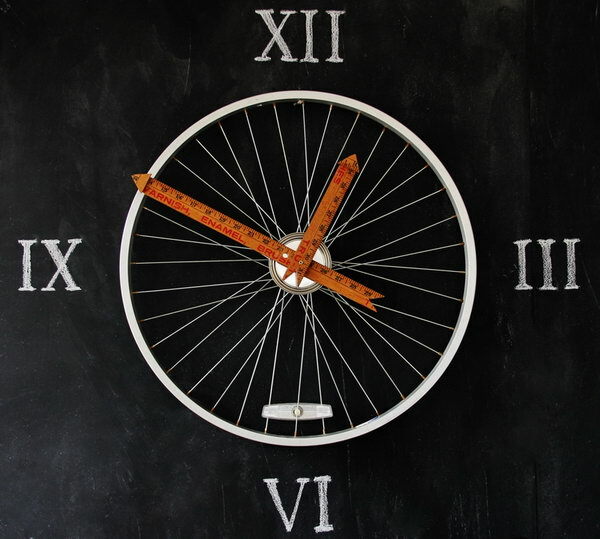 Yardsticks make the perfect hands on a bicycle wheel clock. 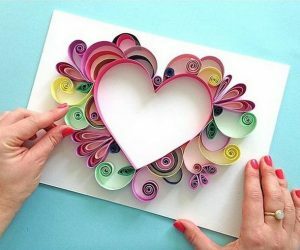 It makes a perfect wall art for your home decor. See the tutorial here. 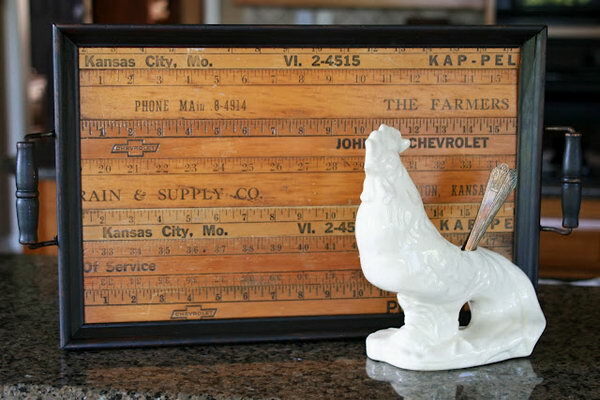 Use old meter sticks to turn a tray into a decorative accent in your home! Learn how to make it here. 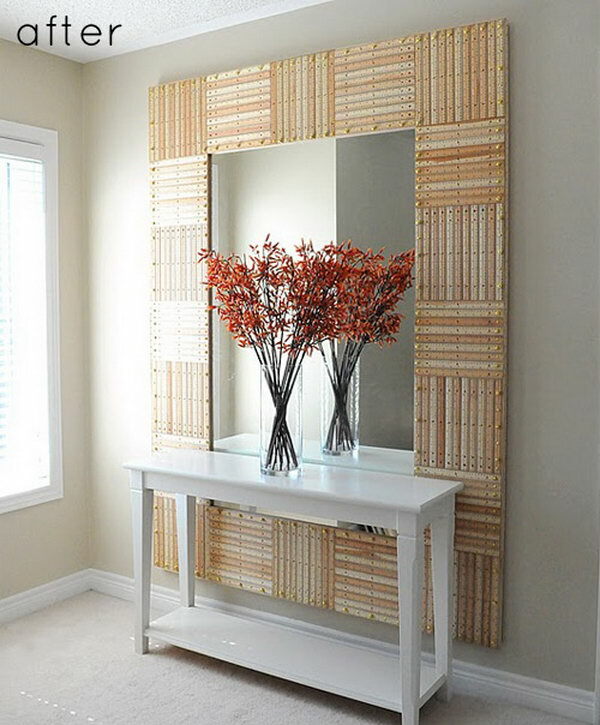 Have you ever imagined that this elegant and modern wall mirror is made with the old school wooden rulers? 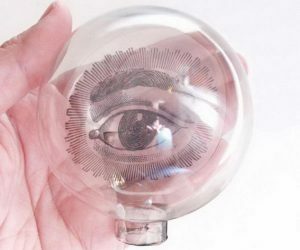 Do you want to own one? 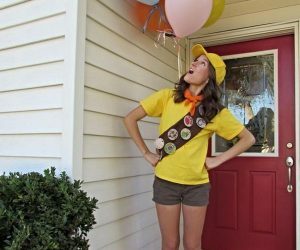 Get started to DIY one for yourself with the simple directions here. 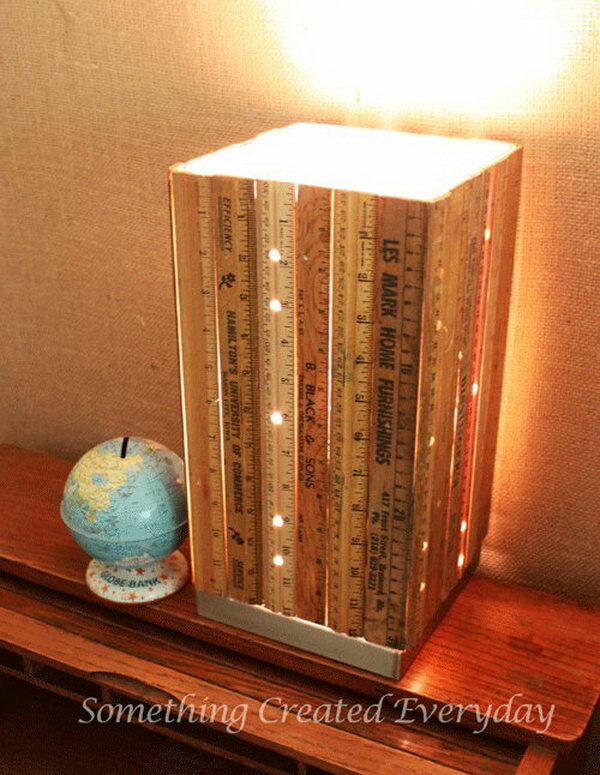 If you like a shabby chic decorating style for your home, you can give this vintage ruler lamp a try. Get the step-by-step tutorial here. 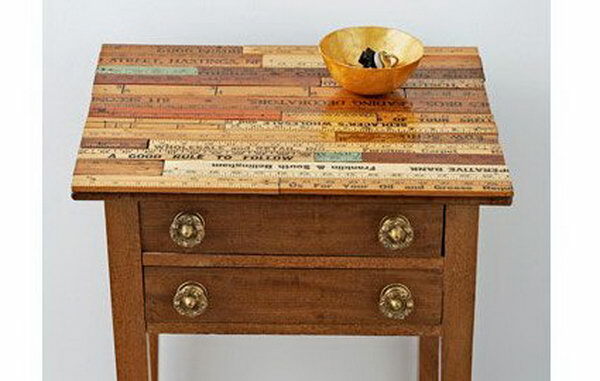 Transform a tired side table into a master piece by covering the top in vintage rulers. Check out the tutorial here.